Home » Health Alerts » Cold or Flu? With cold and flu season at top speed, you will need to understand the difference between a common cold and the flu so you can decide when to call your pediatrician. A child with the flu will usually feel much sicker than one with a common cold. The child with flu symptoms may spike a sudden fever above 101 degrees F, experience chills, a headache, body aches, and fatigue. The child might also have a sore throat, a dry, hacking cough and a stuffy, runny nose. Some children may even throw up or have diarrhea. 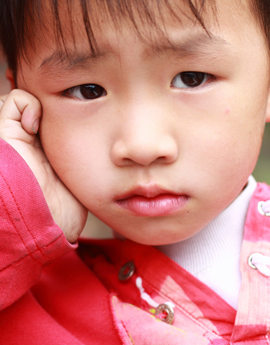 Generally a child with a common cold exhibits a lower fever and may have a runny nose and some coughing. For more information on symptoms of the flu, colds and other conditions, visit the Symptom Checker at HealthyChildren.org from the American Academy of Pediatrics or call Snellville Pediatrics’ Triage Team who can help you determine if you need to schedule an appointment.